The World's First Machine Learning Self Checkout Kiosk! After spending hours at a lineup for the self checkout at Loblaws and Walmart we decided there has to be a better way. 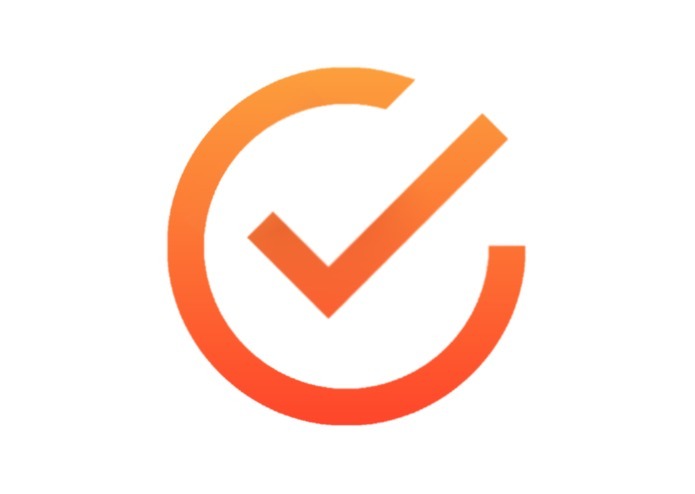 We knew the Machine Learning and Artificial Intelligence is the key to the future of technology so we combined the two and created Swift Check. 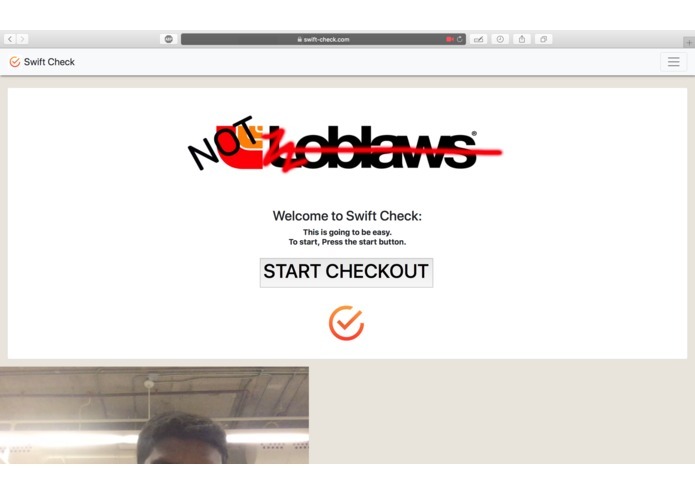 Swift Check is a web application that will be used at self check out kiosks to quickly assist customers through a camera. It identifies your items and adds it to your bill. No more looking around for barcodes or asking cashiers for help with entering produce numbers. The first thing we did was buy the domain swift-check.com from domains.com and start hosting our website on Github pages. We used an Angular.JS framework to build the web application. On top of that we used p5.JS with ml5.JS for the implementation of a pre-trained machine learning model. (ML5.JS is a machine learning library that is extremely light weight and perfect for web applications.) 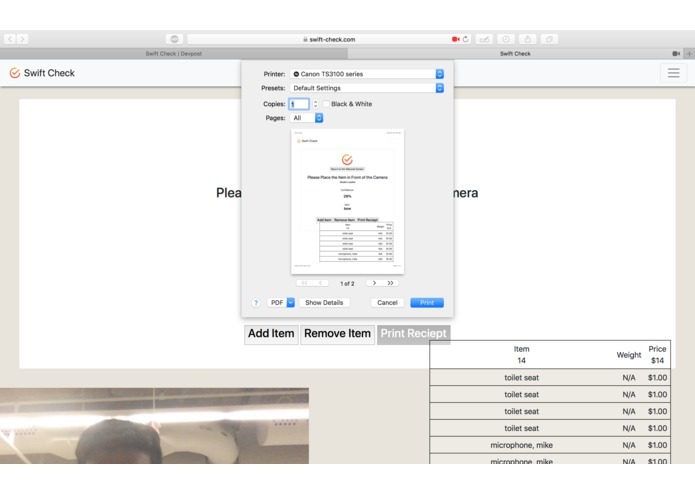 Finally we trained and used Mobile net models from Tensorflow.JS for the bulk of the machine learning aspect of the build. We bought the domain for Swift Check on a two year term. We plan on working on this project in the future to implement a greater emphasis on produce. 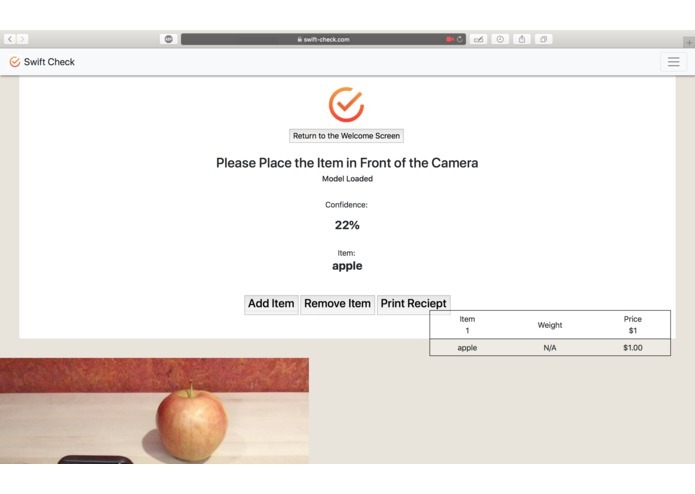 Currently the model can identify the type of produce that it is shown, in the future we want to be able to also tell the customer additional analytics on their food. For example if a customer was buying a banana, by examining the colour the model should tell the user how many days until the fruit is most ripe.